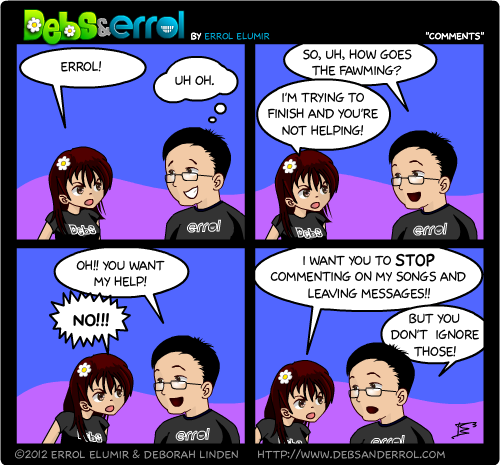 Errol: You know, so far this week, Debs has been in the comic! I still don’t know if she’s reading though. 😀 And it’s the last day of FAWM. I wonder how she’s doing. You know Errol, with the way you treat folks in the comics, its no wonder people fawm opinions of you that are slightly exaggerated.